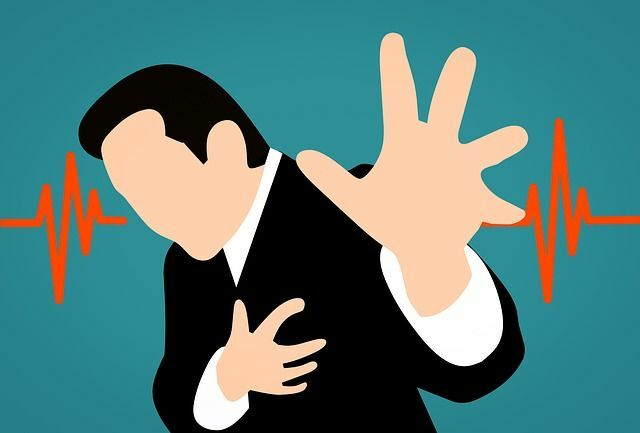 Having chest pain can be a frightening experience. 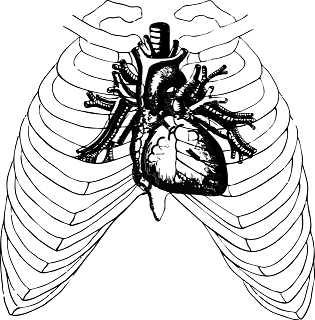 We know the chest is a very important part of the body, housing vital organs like the heart and two lungs. A pain in the chest is something many people get very worried about, especially when it occurs on the left side. Because of the location and position of the heart, chest pain on the left side is often feared as a symptom of a cardiac event. 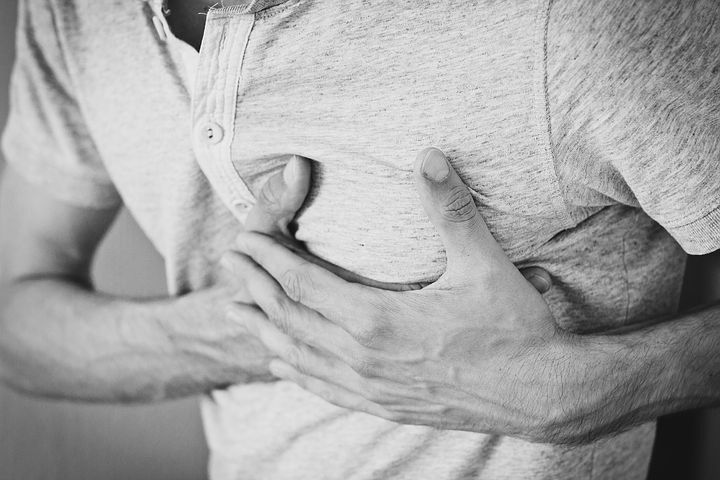 While this isn’t often so, chest pain is certainly not something to ignore. There are several reasons why a person may have a left-sided chest pain, some may be mild, benign reasons, others could be life-threatening. 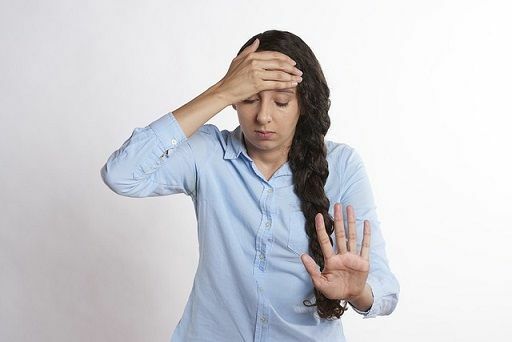 In this article, we will try to explain the different possible causes of this form of pain, however, please note that you should always see a physician whenever you notice this symptom. Let’s take a look at some of the causes of chest pain on the left side. Anxiety, panic attack and periods of great stress can often present as chest pain. It could occur on the left side or middle of the chest. Anxiety usually causes pain, heaviness or discomfort in the chest as well as an increase in the heart rate. These disorders are treatable with prescribed medication and therapy. These methods are both highly effective in easing and fully preventing panic attacks. Once the anxiety, panic attack or stressors are dealt with, the chest pain should resolve. What this means is that there is an inflammation around the cartilages surrounding the ribs, and it can cause pain on the left side of the chest. Costochondritis can be due to different kinds of daily activities such as accidents or falls, excessive cough, vomiting, pulling muscles in the chest during strenuous exercises or sports activities, airbag inflating and hitting the chest in a car accident or even arthritis. The pain in costochondritis is sharp and intermittent. Heavy breathing intensifies the pain typically, along with coughing or sneezing. Most cases of tenderness near the chest bone are diagnosed as costochondritis. Treatment typically includes hot or cold compress, anti-inflammatory drugs and bed rest. A person with costochondritis is usually reassured and told to give it time to heal as it would usually resolve on its own. Muscle strain in the chest area will cause chest pain that can be mistaken for a cardiac event or even a heart attack. This could be caused by improper techniques or positions during exercise, strenuous weight lifting, simply moving the wrong way suddenly, sleeping in an uncomfortable position all night, car accidents, falls, and other mishaps. The pain is usually accompanied by stiffness, bruising, and a limited range of movement that is associated with pain when stretching. Intercostal neuralgia refers to nerve damage to your chest area. This can also cause pains on either side of your chest. Some of the common causes of nerve damage (intercostal neuralgia) are shingles, chest rib injury or surgery to the rib cage. Bronchitis can be caused by viruses, bacterial infection or exposure to harsh pollutants, such as smoke, smog, fumes, and vapors from harsh toxins, like industrial cleaning products. It usually presents as a dry, hacking cough, tiredness and expulsion of sputum (that may contain some blood). Bronchitis can also cause shortness of breath, fever, and a feeling of tightness in the chest. The chest pain is worsened by coughing. Treatment varies with the underlying cause. A peptic ulcer is a wound or sore in the stomach lining or the small intestine. Ulcers can be caused by a decrease in the protective mucus layer that lines the stomach. 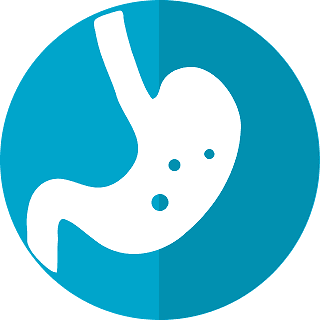 The symptoms of a peptic ulcer include abdominal or chest pain, mild nausea, improvement in your pain with eating food/taking antacids and heartburn. You should see a doctor if you also experience weight loss or dark/tarry stools. Pleuritis is also known as pleurisy, which is an irritation of the lining of the lungs and chest. It presents as a sharp pain on breathing, coughing or sneezing. When it affects the lining of the left lung, the pain is mostly felt on the left. This is a serious condition that occurs when a blood clot travels through the bloodstream and gets stuck in the lungs. This can cause trouble breathing and a fast heart rate. Pulmonary embolism is more likely to occur in a person with deep vein thrombosis or after being immobile for several days such as after a surgery. It could also occur as a complication of cancer. It is an emergency that requires immediate hospital attention and care. Failure to get it properly treated can be life-threatening. Chest pains in the center or left side of the chest could be caused by myocarditis. 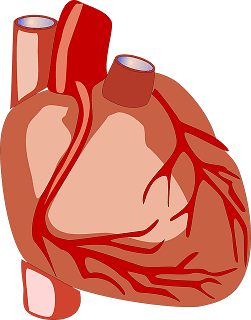 Myocarditis is the inflammation of the heart muscle usually following an infection. Some people with myocarditis have no symptoms. The chest pains caused by myocarditis are sharp stabbing pains which can spread to the neck or shoulder. Some other symptoms include shortness of breath, abnormal heartbeat, and fatigue. A rib fracture can occur following an accident or trauma, such as a fall or a motor vehicle collision. Symptoms of a rib fracture include discomfort when breathing deeply, pain while bending or twisting or a feeling of pressure in the chest or rib area. Even though it may take a while, broken ribs may heal on their own. If you have chest pain after having an accident or fall, please check at a hospital or emergency room to be sure you are okay and that none of your ribs are fractured. 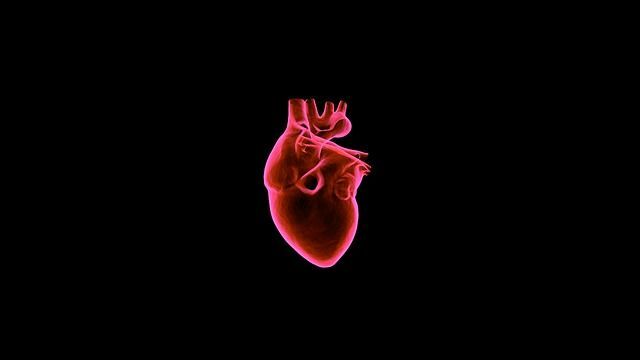 It is a common symptom of coronary artery disease, angina pectoris is the name given to the pain that develops as a result of the blockage of blood flow in the arteries that supply the heart muscle. It is sometimes described as a feeling of heaviness in the chest, numbness, burning, aching and pain in the chest. The discomfort can also be felt in the left shoulder or arm, neck or back. 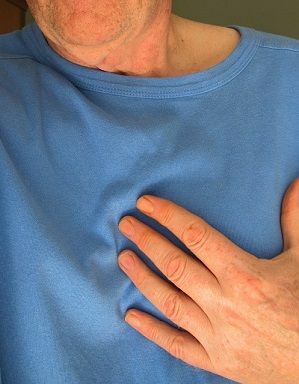 Chest pain from angina pectoris is due to inadequate blood flow to the heart. Often this is accompanied by nausea, feeling unwell, sweating, and tightness in the chest and pain in the left arm or jaw. This occurs when blood flow to part of the heart is cut off, usually from a plaque rupture in a coronary artery. This can lead to varying degrees of chest pain or tightness, shortness of breath, nausea, sweating and feeling unwell. Sometimes, the symptoms are not evident. This occurs when there is a tear in the large blood vessel coming from the heart. Blood then begins to rush through the tear and the layers of the heart start to separate. Aortic dissection can be fatal if blood ruptures through the vessel (aorta) wall. This is a rare condition that presents with chest pain that is very severe. The pain is sudden and feels like a tearing sensation. It is usually associated with fainting. Now that we have looked at causes of left-sided chest pain, it’s important to know when to seek medical care. When Should I Go To The Hospital For A Left-Sided Chest Pain? Generally, as we earlier stated, chest pain is a symptom that a person must never ignore. 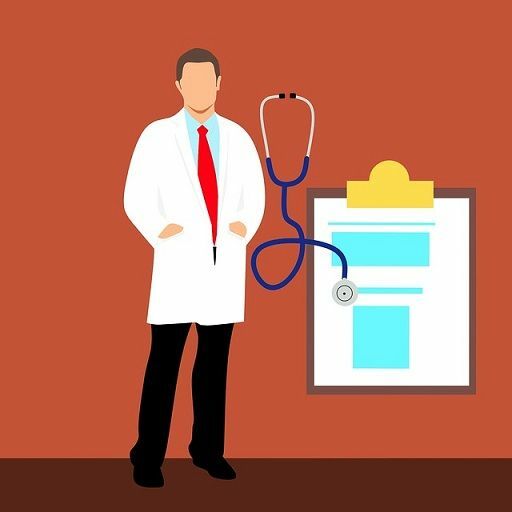 The reason is that even though most times it is from a benign cause, you can’t really tell whether it is being caused by a life-threatening problem on your own. This is why you should always get it checked by a qualified professional. Sometimes aches that you think may not mean anything serious could be early warning signs of something very dangerous. You should also not waste any time before seeking medical attention because how soon a person gets treated for a serious problem that causes chest pain could be a huge factor in determining if the person survives or not. Dr. Omiete holds a bachelor’s degree in medicine and surgery. He’s a licensed medical practitioner who loves to share health information in a simple manner. For fun, he loves to travel and experience new cultures.